Nadia will be performed on Friday, March 15, at 7 p.m. in the Urness Recital Hall, Christiansen Hall of Music. A Q & A talk with the artists happens after the performance. Admission to all events is free and open to the public. 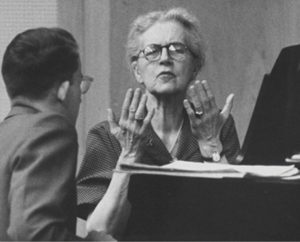 Nadia Boulanger has been called the most influential teacher since Socrates. No one had a more powerful influence shaping 20th-Century music than Boulanger, who counted Aaron Copland, Astor Piazzola, Quincy Jones, Roy Harris, John Eliot Gardiner, Elliott Carter, Dinu Lipatti, Igor Markevitch, Virgil Thomson, David Diamond, Idil Biret, Daniel Barenboim, and Philip Glass among her harmony and composition students. Besides teaching, Nadia was organist at Paris’ La Madeleine; assistant to composer Gabriel Faure; Stravinsky’s editor; and the first woman to conduct the Boston Symphony, Philadelphia Orchestra and New York Philharmonic. She was also a prominent composer/arranger and music critic, as well as the first woman in history to lecture worldwide about music. For all her accomplishments, however, Boulanger’s story does not appear in established music history textbooks, which chronicle mostly male stories. The message of Nadia is important for music students and enthusiasts of all ages to hear, but especially young people envisioning their own futures, because it shows the remarkable impact one person had, despite obstacles. Nadia is a four-person play that tells the story of Nadia Boulanger through a mix of spoken word and music. Mina Fisher wrote Nadia, because Nadia Boulanger has inspired her throughout her own musical performance and teaching career. A cellist for 31 years with the Minnesota Orchestra and now an award winning teacher, Mina created Nadia while acting as Artistic Director for the Bakken Trio chamber ensemble. Her script adopts a chronological approach to Boulanger’s life, based largely on comments made by Nadia herself, and biographical research. The demands of the play require excellent professional musicians for the lead actress/singer and accompanying instrumentalists. To commemorate Women’s History Month 2019, St. Olaf College will present two events recognizing the triumphs and struggles of women composers: Nadia, a dynamic new play, will acquaint viewers with the life of Nadia Boulanger, and a complementary vocal master class will educate participants and audience about women composers throughout history. Both events will take place on the St. Olaf campus on March 15, 2019. Because these events hold special impact for young people, the Music Department will invite up to 100 students from six area high schools to be part of the audience for Nadia and to participate in the master class. Today’s national discourse promotes the importance of empowering young women to realize their dreams without discrimination. Both the master class and play will encourage aspiring young composers, musicians, and creative minds to realize they are without boundaries and can make a contribution to the future of the arts, no matter their gender. About the Master Class, 3:30~5:30 p.m.
Singers from area high schools and St. Olaf will work one-on-one with expert teachers on vocal technique and interpretation. They will also learn historical background about the featured female composers, which will enhance understanding of the compositions. A master class is a public teaching forum where veteran teachers work with selected students on specific pieces of repertoire, offering pedagogical advice on how to improve various works, technically and artistically, to advance performance understanding. This master class will highlight vocal compositions by selected women composers from different eras, reaching back as far as Fanny Mendelssohn and Clara Schumann to contemporary composers including Lori Latiman, Libby Larsen, Julianna Hall, Thea Musgrave, and Judith Zaimont. Though these women have greatly advanced compositional genres, most people know less about them than 19th– and 20th-century male composers. It’s important to note that in a master class, the audience is educated along with the participating singers. The audience sees first-hand how a master teacher advances a singer’s interpretation by addressing particular elements and making technical suggestions. Often, the end result sounds quite different from the original performance. While the participating singer learns firsthand how to study, interpret, and perform a piece of music, the audience watches a singer’s work transform. The master class audience will include the other visiting high school students, St. Olaf students and staff, and interested people from Northfield and beyond. Open this PDF for composers, titles, links, and downloadable art songs. Hailed by Switzerland’s Opernwelt as “…a remarkably beautiful voice capable of many colors and nuances…a singer who is also a natural actress” has appeared in opera houses throughout Germany, Austria, France, Italy, Japan, Israel, South Africa, and the United States including the Metropolitan Opera, Vienna State Opera, Stuttgart Opera, Theatre de Chatelet in Paris, Klagenfurt Stadttheater, Salzburg Festival, Cleveland Opera, Opera Orchestra of New York, New York City Opera, and the Spoleto Arts Festival under notable conductors such as James Levine, Herbert von Karajan and Emmanuelle Villaume and others. She has been heard in recitals and concerts throughout the United States, Canada, and Europe, and has recorded with the Netherlands Radio Orchestra, Süddeutsche Rundfunk Orchestra, and Manhattan Chamber Orchestra. Her core repertoire includes the great operatic roles of Strauss, Mozart, Rossini, Bellini, Puccini, and orchestral works of Mahler, Berlioz, and Wagner. Her acclaimed European debut as Romeo in I Capuletti e i Montecchi came while still a member of the Vienna State Opera’s Young Artist Program. Invitations to opera houses in Germany, Austria and Italy soon followed. Violinist Stephanie Arado’s career encompasses a wide range of performance and teaching experience. Ms. Arado began her violin studies at the age of five and played her first solo recital when she was eight. Since her debut with the Chicago Symphony as a 12-year old, Ms. Arado has performed as soloist with symphony orchestras throughout the United States, including the Detroit Symphony Orchestra, St. Louis Symphony, and Minnesota Orchestra. Ms. Arado spent 22 years as Assistant Concertmaster of the Minnesota Orchestra and also served as Concertmaster of the Colorado Symphony. In 2012, Ms. Arado resigned from her position with the Minnesota Orchestra to devote more time to teaching and chamber music. Ms. Arado has participated in chamber music festivals both nationally and internationally, and has had the privilege to perform with such masters as Paul Tortelier, Joseph Silverstein, and Yuri Bashmet. 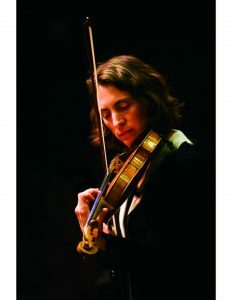 A recipient of the McKnight Foundation Grant for Performing Artists, Ms. Arado maintains a private teaching studio in Minneapolis and is an Artistic Director of the Bakken Trio, a chamber music consortium she has performed with since 1991. 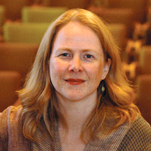 As founder and executive director of the International Cello Institute, Anna Clift collaborates with teachers and students from around the world, and is passionate about teaching and educating young musicians. 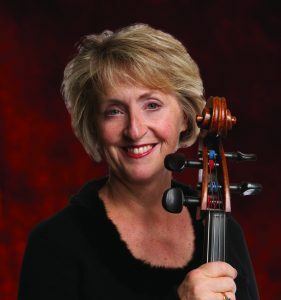 Ms. Clift is considered to be one of the most influential and consulted cello teachers in the Twin Cities as well as mentor to many young cellists around the country. currently, she divides her teaching between St. Olaf College in Northfield and Augsburg University in Minneapolis. She has taught as an interim cello instructor at Marshall University in West Virginia and often serves as a juror for competitions around the United States. In 2019, she will serve as an adjudicator for the Seattle Young Artists Festival. 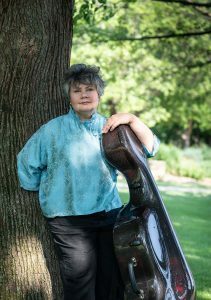 As a member of the “Cello Consortium,” she frequently presents forums and workshops with her colleagues, Laura Sewell and Käthe Jarka, and has extensive experience as an extra player with the Minnesota Orchestra since 1989. Winner of first prize in the 1993 Neale-Silva Young Artists Competition, pianist Kathryn Ananda-Owens enjoys an active career as performer, teacher, and scholar. A laureate of the American Pianists Association Biennial Fellowship Competition, she made her Asian debut in 1997 under the auspices of the government of Macao and her European debut the same year in Vienna. She has performed as a soloist with the Saint Paul Chamber Orchestra, toured internationally as piano soloist with the St. Olaf Orchestra and has appeared at Lincoln Center. A founding member of the New Horizons Chamber Ensemble, Ms. Ananda-Owens also performed for several years as pianist of the Melius Trio. She received degrees from Oberlin College, Oberlin Conservatory, and the Peabody Conservatory of Johns Hopkins University, where she studied with Julian Martin. Her concerts have been broadcast on radio and television on three continents and recorded on the MSR, Centaur, Limestone, St. Olaf Records, and Westmark labels. Dr. Ananda-Owens serves on the board of directors of the Performing Arts Medicine Association. 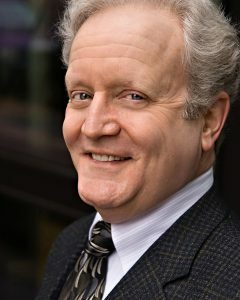 A graduate of St.Olaf, Class of 1975, he was a member of the Minnesota Opera Company’s resident ensemble for nearly a decade, and studied Directing with H.Wesley Balk at The University of MN and Nautilus Music-Theater. In 1982 he began the peripatetic life of a freelance artist, and for over 40 years he has worked as performer and director with local and regional theaters and opera companies nationwide and in Europe. He was artistic director of Lyric Opera Cleveland, frequently directs for Dayton Opera, and has staged works for Sacramento Opera, Skylight Opera, Fargo-Moorhead Opera, The Ordway, Skylark Opera, Paramount Theater/Northfield Arts Guild, National Opera Company, Nevada Opera, Light Opera of the North, The Children’s Theater Company, Florida Repertory Theatre, The Walker Art Center and The National Theatre of Hungary. He has served on the faculty of SPCPA and The University of Iowa, and has been a guest director at colleges, universities and conservatories across the country. Erica Hoops is a fifth year student at St. Olaf College, working towards a bachelor of music in vocal performance and a bachelor of arts in theatre with a concentration in women’s and gender Studies. 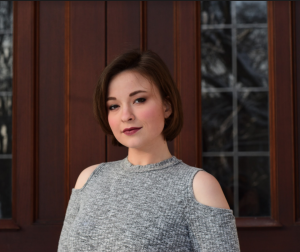 One of Erica’s favorite experiences at St. Olaf was an independent research project that involved literal and lyrical translation of operatic libretti, as well as feminist analyses of the most common English translations of the given foreign text operas. Erica has also performed a 45-minute recital that featured works by all female composers, and an hour long showcase that focused on operatic adaptations of Shakespeare’s plays. This spring, Erica will give a senior recital that features only Shakespearean texts and operatic/musical adaptations of those texts. 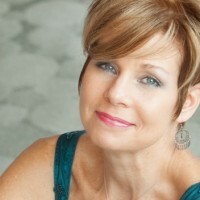 Over the summer, Erica hopes to perform with the Janiec Opera Company in Brevard, North Carolina. After graduation, Erica will either attend the Cincinnati Conservatory of Music or take a gap year to continue studying voice. Cellist Mina Fisher is a graduate of Indiana University where she received both bachelor and master of music degrees while studying with Janos Starker and Fritz Magg. She continued her studies with French cellist Andre Navarra at the Accademia Chigiana and the Vienna Hochschule fur Musik. Principal Cellist of the National Symphony of Costa Rica, and Associate Principal Cellist of the New Orleans Philharmonic, Ms. Fisher eventually made her home in Minneapolis where she was a member of the cello section of the Minnesota Orchestra for 31 years. These days you will find her teaching in the Twin Cities where she has become a popular teacher. Her students have won top prizes at the Schubert Club, Thursday Musical, Rising Stars Competition, Greater Twin Cities Youth Symphonies (GTCYS) Concerto Competition, SPCO Youth Chamber Competition, and The Minnesota Varsity. Several of her students have appeared on the national radio show “From the Top” and have gone on to major in music at Colburn, Northwestern University, McGill in Montreal, Harvard, St. Olaf and at the University of Minnesota. Ms Fisher’s chamber music credentials are impressive. As cellist of the Ensemble Capriccio for 15 years, she won the coveted McKnight award for Performing Artists, commissioned over a dozen pieces for string trio, toured internationally, and recorded four CDs. She joined the Bakken Trio as cellist in 2003 and is currently their Producing Artistic Director. Recently she created a play with music about the legendary Nadia Boulanger, Nadia, which was rated Top Ten Music Events of 2017 by the Star Tribune.